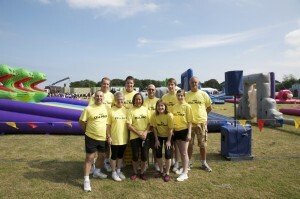 Home > News > Public Relations > It’s a Knockout! 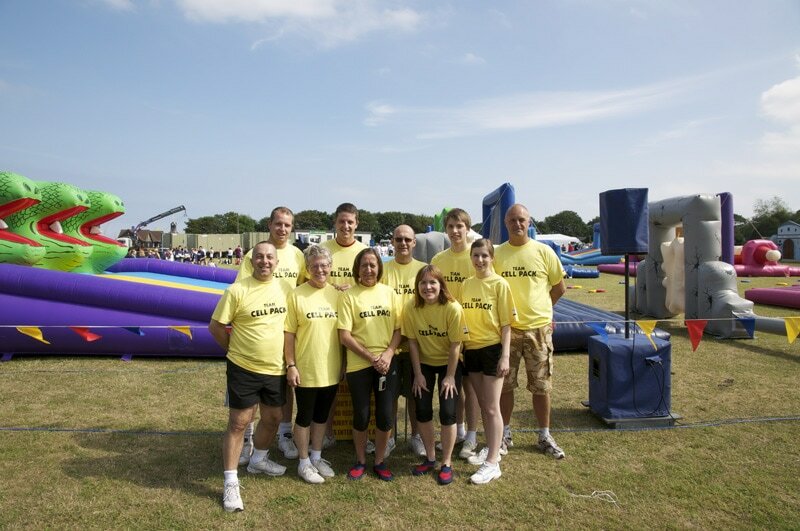 One of the highlights of South Tyneside’s Annual Business Week Event was the It’s a Knockout competition held at the Bents Park in South Shields. Twelve teams battled it out in a fun filled event. 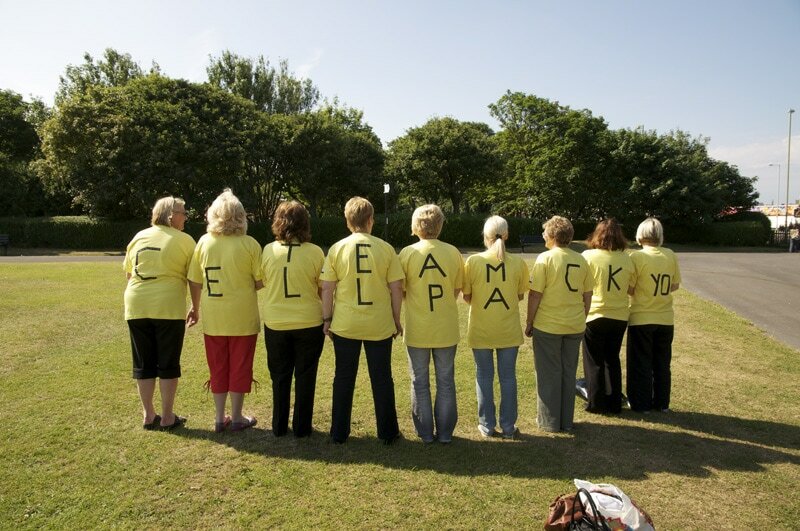 We gave the staff a couple of hours off and fielded Team Cell Pack and not to be out done we also brought out are secret weapon, Team Cell Pack own cheer leading team and a picnic supplied by Kath. 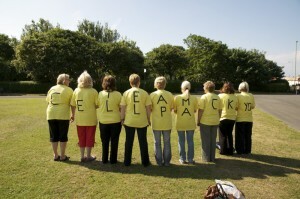 The whole event was in aid of St. Clare’s Hospice and raised a fantastic £7000 clear profit. I’m pleased to say that we managed to get a creditable 3rd place and even more pleased to say that we got through the afternoon with no serious injuries. The images above are of the team and its the cheer leading team – why no one thought to get them to turn their heads I cannot explain. It was a great team effort.